Two of our favorite things are wine and chocolate, and Valentine’s Day is the perfect time of year to pair them. Andrea LeRay of Amigoni Urban Winery treats us to some delicious wine, each matched with a decadent chocolate truffle from Panache Chocolatier. KANSAS CITY, MO — Two of our favorite things are wine and chocolate, and Valentine’s Day is the perfect time of year to pair them. 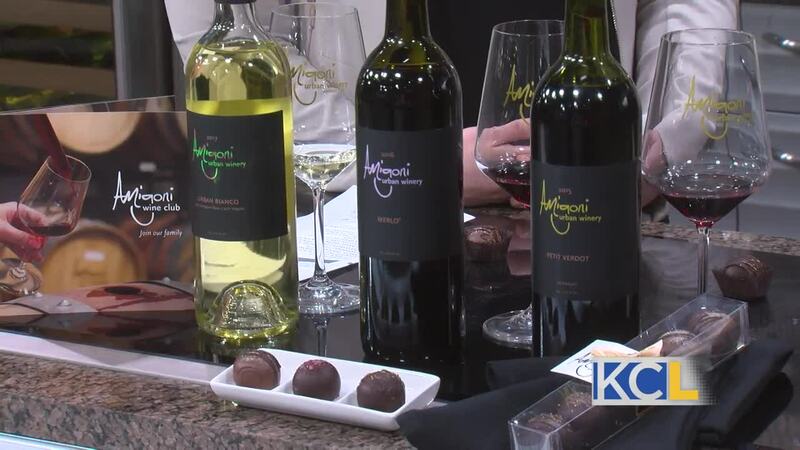 Andrea LeRay of Amigoni Urban Winery treats us to some delicious wine, each matched with a decadent chocolate truffle from Panache Chocolatier.